Kindergarten-gate | Jon Katz, P.C. Avon Park, Florida, cops cuffed a kindergartner’s biceps together, because her wrists were too small. (Image from National Park Service’s website). When I was in kindergarten in 1968, misbehavior was remedied no more firmly than with a lecture, standing in the corner a few minutes, or both. In Avon Park, Florida — and who knows where else? — times they have changed (or perhaps stayed the same in that neck of the woods). 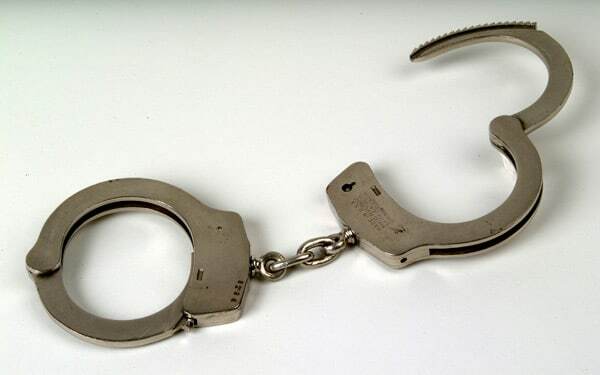 On March 28, Avon Park police arrested a kindergartner who was crying and wailing, by handcuffing her biceps together. The cops booked and fingerprinted her, and charged her with the juvenile offenses of assault, resisting a cop, and disruption of school function. Some kind of civics lesson that was for the students. Why did the teachers and school administrators not make more of an effort to defuse the problem of a child crying and wailing — which I imagine is common for many kindergartners separated from their parents while at school — rather than escalating the situation by calling in gun-toting cops and getting the child all the more upset? Such an approach — refraining from calling in the cops — would have involved a greater investment of time and effort in the short term, but would have been a much better learning and nurturing experience for the student, her peers, and the school district’s employees and administrators. Jon Katz.